Living in New York can be arduous, schlepping your groceries back and forth (we all have burn marks on our hands from paper bags), searching through Duane Reade to find your lotion, only to find that they don’t have the scent you like and its marked up $5 more than any other city in the world. 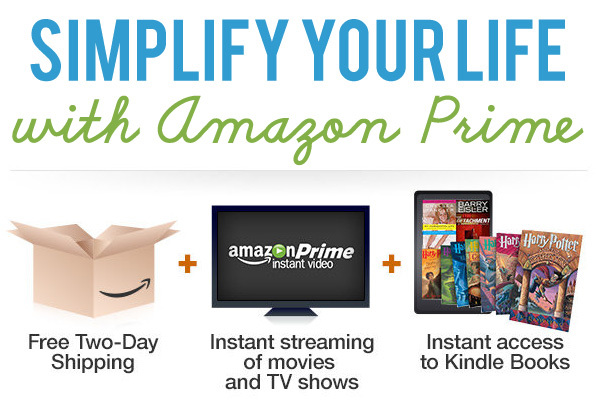 Simplify your life with Amazon Prime. I’ve had a membership for the three years that I’ve lived here. Its like a Costco membership for those of us that don’t have a car or don’t want to go to 125th street. With Amazon Prime you get free 2-day shipping, free streaming of over 40,000 movies + TV shows, and free kindle books! I stream movies from Amazon all the time on my VIZIO Smart HDTV with Internet APPS , which I also bought on Amazon! They have some great movies, better than Netflix at times, but I can use both apps on my TV! Getting a package to ship to my apartment is sadly impossible. I bought a pair of $5 Hearos Earplugs , had them delivered to my building, and someone stole them! Amazon refunded my $5 and sent me a new pair to my office, where packages always get delivered. When I don’t what my nosey co-workers to ask about the scented lotion I bought, I get my packages delivered to an Amazon Locker. A pretty cool service you can use throughout Manhattan (possibly other places) and pick up your delivery at a variety of different places! Starting this month, I get 5% cash back on my purchases on Amazon with my Chase Freedom Card. That combined with a Free 30-Day Trial to Join Amazon Prime makes this the opportune time to stock up on essentials or jump start your holiday shopping! Check out my Astore for shopping ideas and other great finds! !